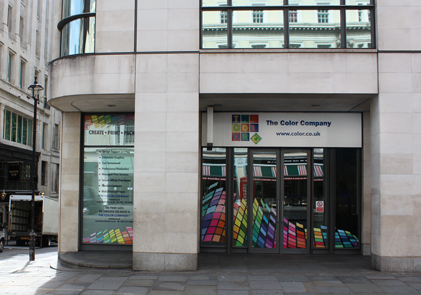 Located near the corner of Waterloo Bridge and a minutes’ walk from The prestigious Savoy Hotel, our team at Color Company Strand take a consultative approach to working with our clients – building strong relationships through understanding your business. It is an ethos we adhere strongly to, always taking the time to listen and translate your ideas into excellent printed collateral. Whether it’s Luxury Presentation Folders and Brochures or Exhibition Graphics and Stands, The Color Company can boast many years of first-hand print experience supporting some of the UK’s leading blue-chip companies. And if that’s not enough, our team of graphic designers are here to offer guidance and expertise for projects of all sizes – from concept to delivery. At the Color Company Strand we’ve got all your print needs covered, so why not give us a call or email us. We’d be delighted to hear from you.